Dr. Frederick Frankenstein carries on his grandfather’s work in Transylvania assisted by his lovely assistant Inga, and his trusty servant Igor. All the gags from the 1974 movie, with great musical numbers. This show should be considered PG-13, for some naughty song lyrics and innuendo. Please note that parking in Swarthmore can be a challenge. There is parking in the municipal lot, and, on Saturdays and Sundays, you can park in the SEPTA rail station lot. Below is a map with just a sampling of parking available. Make a great show better, come with a group. Receive a 20% discount when you buy 10 or more tickets to the same performance if purchased at the same time at least 24 hours in advance. 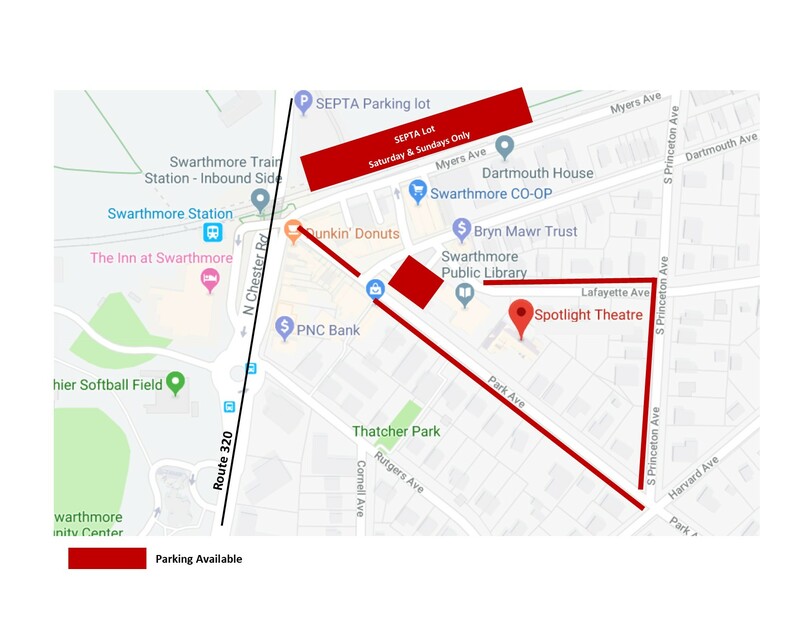 Groups of more than 20 please email rich@spotlighttheatrepa.org.